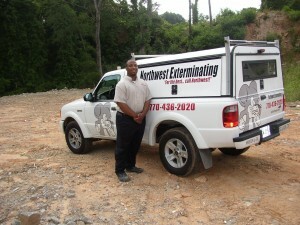 Northwest Exterminating visited the Brock Built Green House on June 18 to pretreat the house for termites. 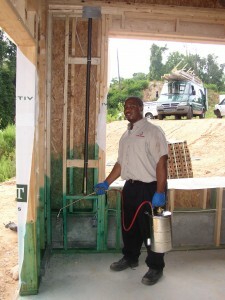 This step is definitely a necessity in the homebuilding process as it prevents termites from doing damage to the house. 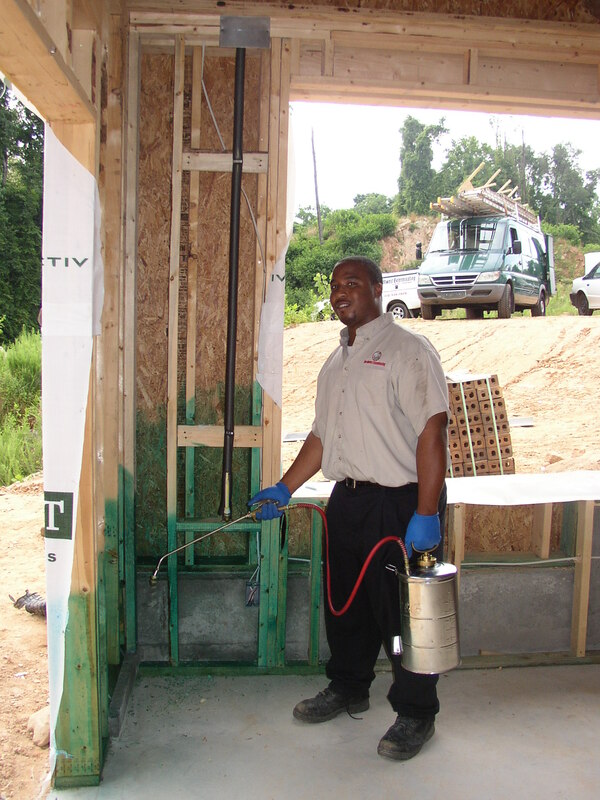 Since they were volunteering their work on the Green House, which is to be built to green standards, Northwest Exterminating used a green solution when spraying the house. NorPest Green is a unique pest control method from Northwest Exterminating that specifically targets insects, but is a green solution of plant essential oils that are both family and pet friendly. With the revolutionary green alternative to traditional, chemical pesticides, the Green House is beyond thankful to have Northw est Exterminating offering their contributions. The company is family owned and operated, and was founded in 1951. Over the past almost 60 years, Northwest Exterminating has grown from a family of 2 to over 275 members and 11 service centers located all over Georgia. This entry was posted in The Green House and tagged green pesticide, Northwest Exterminating, The Green House on June 27, 2008 by Carol Morgan.